Our tours and photography workshops provide amazing photographic opportunities! All skill levels are welcome. We would love to introduce you and your party to the incredible beauty that Costa Rica and Latin America have to offer. You’ll experience an outstanding photo tour, where you’ll combine your passion for photography with all the natural marvels the area has to offer. You’ll enjoy brilliant birds, colorful flowers, and beautiful tropical landscapes. Bird, wildlife, and photography workshops are either formal or informal depending on the group, with times being carefully selected to allow guests to sufficient time to rest and relax. Topics will focus on the needs and interests of the group. Our focus is small group tours, single room supplements are available upon request. Custom and private photo tours can be arranged, please contact us for more details. I was born and raised in the countryside near San José, Costa Rica, I grew up surrounded by all sorts of nature and wildlife. This proved to be the perfect environment to became very interested in the abundance of local nature. Being immersed in a tropical country helped me develop a special love for birds which in turn made me switch from a promising career as an architect to a naturalist tour guide in 1994. It wasn’t until 2006 that I first picked up a digital SLR camera and fell in love with photography. Since then, I have never stopped taking dramatic pictures of birds in their natural habitats. 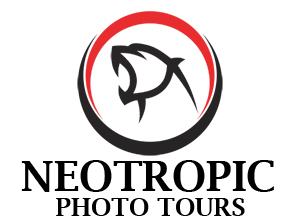 I now lead photography tours and workshops in Costa Rica and other Latin American countries. My work has been published on some of the most prestigious wildlife magazines in Europe and the US. Certified guide, which includes intensive training in history, biology, ornithology and eco-systems.